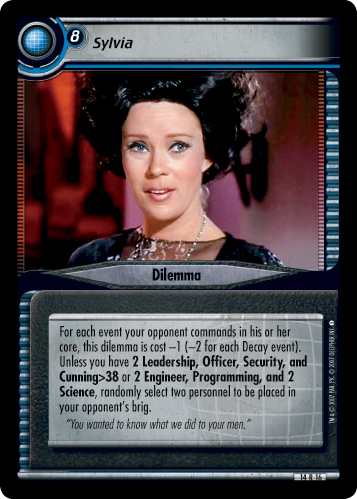 Your opponent moves up to two dilemmas from beneath this mission to another of your non-headquarters missions. "I don't want to hear it. Just get me a shirt." 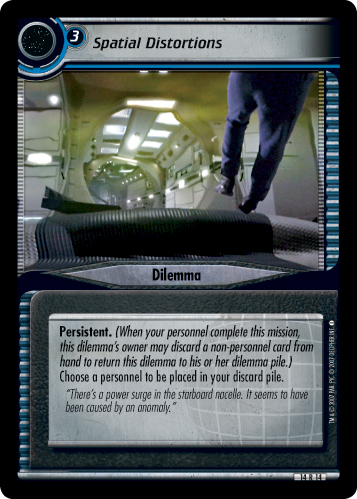 Image Source: Enterprise: "Shockwave, Part II"